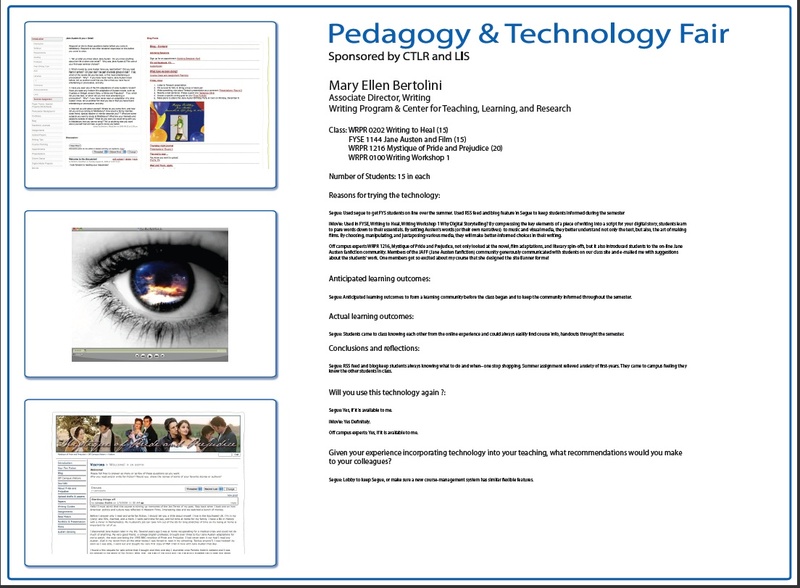 Tech Fair, Co-sponsored by the CTLR and LIS @ Middlebury on Thursday, June 4th. 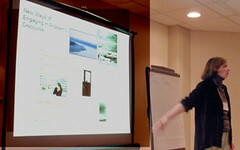 NITLE-sponsored Social Software Users’ Group at the College of Wooster (Ohio) January 2006. Among many great conversations that took place at SSUG, one stands out for me. It concerned the different ways faculty and librarians look at copyright issues–especially for multi media projects. Faculty tend to look at what’s best for my class, my students; whereas, librarians tend to look at what’s better for the institution. Emotions rose–even in this very genial group–around this issue, but we all left more respectful of the issues our colleagues face, so thanks again, Barbara, for dragging me along! Few people could convince me to fly from Vermont to Ohio in January, but bg is one of them. The Divine Jane: Reflections on Austen from The Morgan Library & Museum on Vimeo. Slices of Cake © 2019 All Rights Reserved.